The Rocky Mountain Association of Student Financial Aid Administrators (RMASFAA) exists primarily to promote the professional preparation, leadership development, effectiveness, and mutual support of persons involved in student financial aid administration. In addition, RMASFAA exists to bring about the implementation of programs that will have a positive impact on students’ ability to pay for higher education. 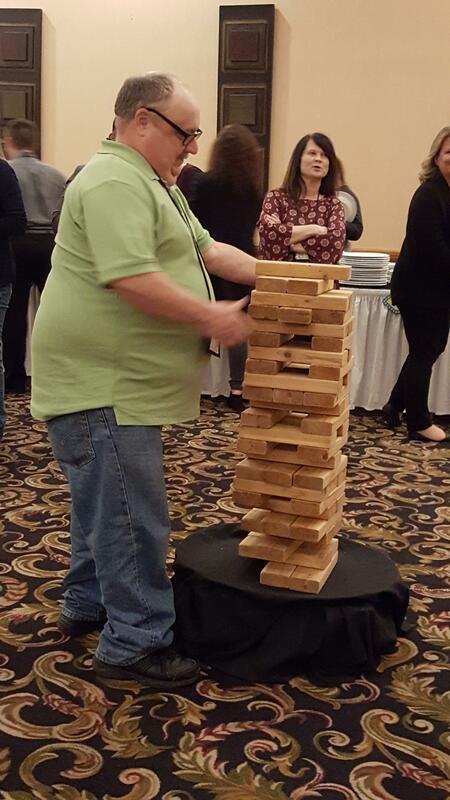 NeASFAA members held their 52nd annual Spring Conference in Kearney, Nebraska March 27th and 28th. The first day got underway with the dynamic and engaging Kevin Kush sharing insights about creating cohesive, high-performing teams based on his book A Piece of the Puzzle…Eight Traits of a Quality Teammate. Coach Kush’s message inspired us to view adversity with a “What an opportunity!” attitude and challenged us to consider how each of us can contribute to the success of our own teams. Continuing the tradition of offering NASFAA credentialing opportunities at conference, a Satisfactory Academic Progress session was taught by Vicki Kucera from Central Community College as a pre-conference activity. A second credentialing opportunity was provided on Friday when Becca Dobry of the University of Nebraska-Kearney taught Campus-Based Programs. A number of NeASFAA members provided break out sessions on a variety of pertinent and timely topics. We welcomed David Bartlett, training officer with the U.S. Department of Education, who shared his expertise in SULA, Title IV Reconciliation, and Top Ten Compliance Issues. We appreciated David joining us from the Kansas City office. NASFAA representative Megan Coval was unable to attend in person so presented remotely the always-informative and insightful NASFAA Washington/Federal Update. As NeASFAA explores avenues for pursuing advocacy at the state and federal levels, Megan then delivered an Advocacy and You breakout session to help guide us in those efforts. The philanthropy project chosen this year was Compass, an organization located in Kearney, that serves youth and foster families in central and western Nebraska. Members generously made cash contributions as well as donations of household and personal items. Lunch on Friday included a RMASFAA update from President Myra Pfannenstiel who encouraged us to participate in Leadership Pipeline and to experience the Wizarding World of Financial Aid at Summer Institute! Ritchie Morrow from Nebraska’s Coordinating Commission for Postsecondary Education delivered the annual update regarding state funding and relevant legislative issues. The conference theme of “Financial Aid: Honestly, It’s for Everyone!” (a spinoff of the State of Nebraska’s new tourism theme) got us into a state fair frame of mind with corn hole toss, giant Jenga games, miniature golf challenges, and memory games with prizes of cotton candy, “corn on the cob,” and even fish in a plastic bag. We finished Thursday evening with a rousing and VERY competitive game of Family Feud with members split into teams based on the farm animal displayed on their name tag. The games were a terrific way to interact and enjoy each other’s company. 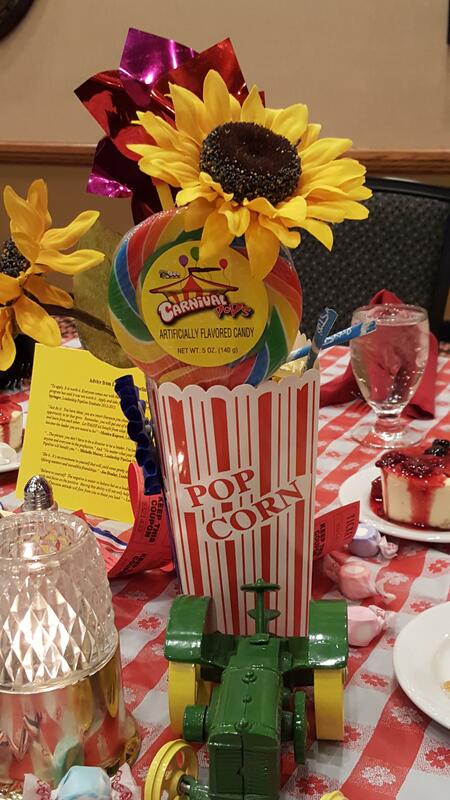 The Professional Development and Recognition Committee outdid itself with the state fair decorations, games, and prizes. We recognized members with longevity awards and celebrated new babies and soon-to-be delivered babies. Special recognition awards were presented at Thursday evening’s banquet. Sarah Standley of University of Nebraska-Lincoln was recognized as Rookie of the Year for her significant contributions to the Board during the past year. The Bob Minturn Special Recognition award for leadership in the financial aid profession was presented to Kent Wolfe of Inceptia. Janice Volker, University of Nebraska-Omaha, was given the Distinguished Service award for her contributions as association Treasurer. The Professional Development and Recognition Committee deserves a big thank you for providing us with an outstanding conference. The strength of NeASFAA is certainly demonstrated by the participation of its members. We look forward to another year of supporting our students, our institutions, and each other. Hi RMASFAA friends! My name is Sara Vancil, and I’m currently serving as the delegate from the state of Kansas on the RMASFAA Board of Directors. I am an Assistant Director at the University of Kansas. I just concluded my year as President of KASFAA. I now have the lovely job of Past-President, which I’m told involves P&P review, convincing people to run for KASFAA office, and kicking back with a cold one while the new KASFAA prez, Tony Tanking, leads us all to glory! I was asked to tell you a little bit about myself. My lucky number is seven so here are seven tidbits about me. Just a friendly reminder that the Program Committee is taking program proposals for the 2019 RMASFAA Conference that will be held in Billings, MT! Please take a few minutes out of your day to complete the program proposal form to either indicate a session you would like to present or would like to see at the upcoming conference. All completed program proposal forms should be returned by April 12, 2019 (Yes, that is tomorrow!!) to Janet Riis at the email listed on the form. Thank you so much for your feedback and ideas! This month’s Leadership Pipeline mentee is Jordan Eisenmenger from Central Community College’s Kearney Center. Your current position and how long you’ve worked in FA. Currently I am the Associate Director of Financial Aid at Central Community College’s Kearney Center. I started here in October of 2017. I began working in financial aid as a work study during my undergrad and began my FA professional career the week after graduation. 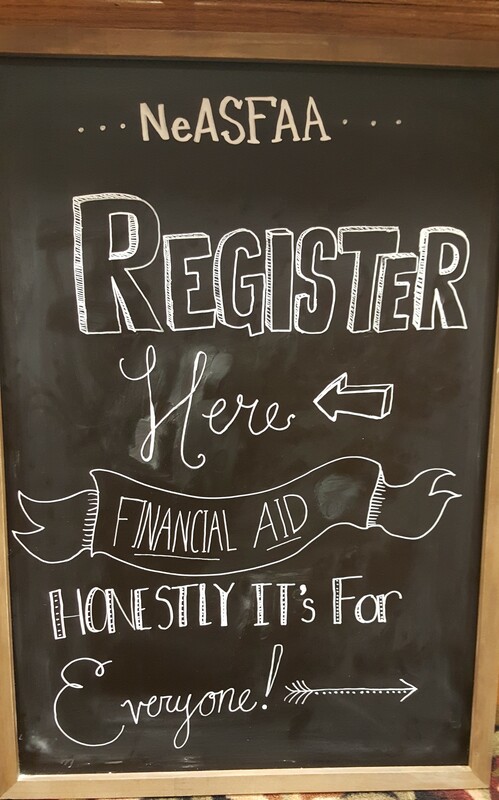 I have worked full time in financial aid for almost six years. I was encouraged to apply by my supervisor. She has a strong love for RMASFAA and has been a mentor role of the program before. I was excited and nervous for the chance to step out of my comfort zone and connect with others in the profession. We’re right at half way through the program, and I am learning to put myself out there. It’s really cool to listen to the perspectives of others at different stages in the profession. It really is a safe space where we can ask questions and work through scenarios together. I really enjoy the setup of the program. I am working with FA professionals at all levels. Each of us has something to share that we can all digest and learn from. It’s really cool to be a part of a group willing to open up and want to improve aspects of themselves and their team. Working one-on-one with a FA veteran has been very rewarding. My mentor (Katie Nettell) is awesome! I enjoy our chats and have learned a great deal from her already. Owl Post: Don’t be a Muggle, Register for Summer Institute Today!